So for any of my friend's reading this (I think that's about it right now) you all know I am Canadian and damn proud of that. I love my country and would love to move back some day. 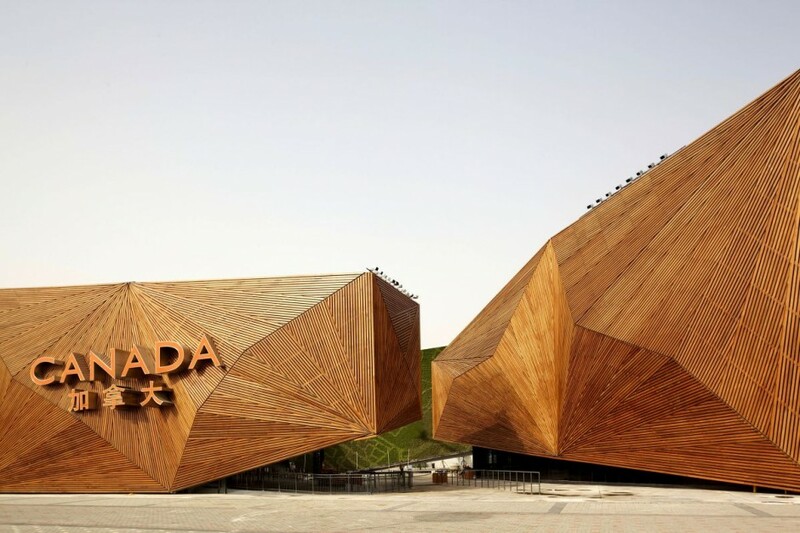 I have immense pride and get excited about anything Canada, so while doing my research and I found the Canadian Pavilion at the Shanghai Expo I got so honored and proud when I saw the building. The 6,000-square-meter Canada Pavilion, among the biggest at the expo, with the idea and theme of "The Living City: Inclusive, Sustainable, Creative.” The pavilion’s architecture layers and weaves together a series of intertwined metaphors at different scales. The first represents the country, and serves as site for the second, that of the city, which in turn encompasses that of the town square. The way the "Ribbon" wraps around to form the centre projects the image of a country that embraces that which it holds most dear: its population. The continuous path between entrance and exit suits the program of public performances, creating a platform upon which a series of events may unfold. Their starting point will be in the interior court left free at the centre of the pavilion that encompasses it. The Interior court, public square or urban room, it is the place where urban life crystallizes and is renewed. Symbolized by the physical form it adopts and the characteristics that emanate from it, the court evokes the true nature of city. 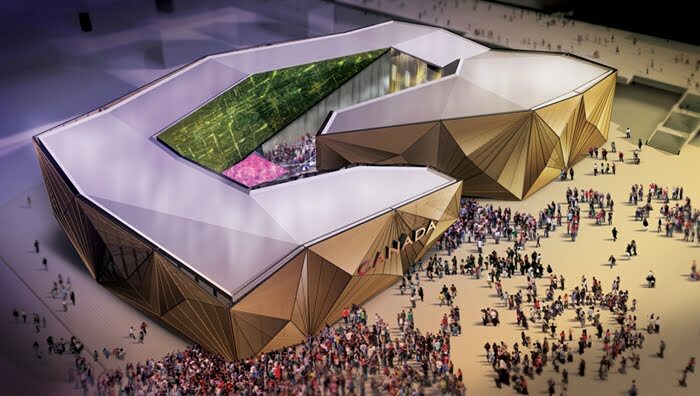 The Centre also is where Cirque du Soleil who created the concept design for the Pavilion, are also putting on public performances, organize cultural programs and develop strategic corporate alliances for the pavilion. The exterior of the building is made of many levels which all have been well thought out and all have a purpose. The shell constitutes the interior face of the building. 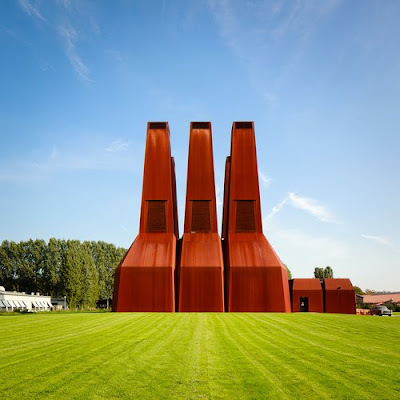 Minimal in its construction, without decoration, it lays low and holds only a functional, supportive role to the spectacles that it houses, those that constitute its vibrant heart. Distinct from the first, it covers the latter with a space between the two. This double wall, itself an insulating coat, reduces the energy expenditures for air conditioning. 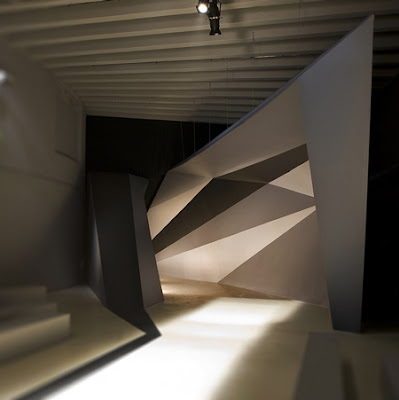 Multiple facets placed randomly sculpt the facades like crystals under the light of atmospheric, luminescent phenomena. It uses a series of flat-surfaced fans striated only by fine grooves. 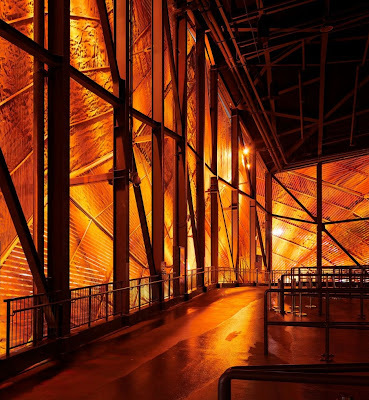 Wood, the Canadian material of preference – natural, renewable and recoverable – offers an infinite variety of effects depending on the hour of the day or the quality of light. The design of the building is modern, fresh, and while some people might not like it, I think it screams Canada. I see it as a modern totem pole which is a huge part of Canadian heritage and the idea of wrapping around to form a safe environment and ribbon reminds me of the people. 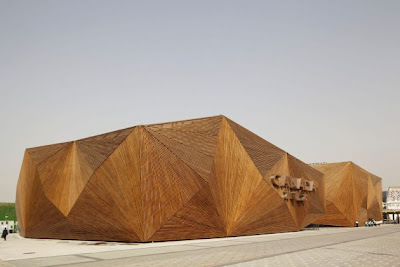 The use of wood is an obvious and the fact that its a green building is well just swell for us. It might not be as great as some of the other buildings at the expo and might not be my favorite but its up there. Its got a great design and well it screams Canadian, plus its way better then the Canadian pavilion at the Vancouver Olympics.